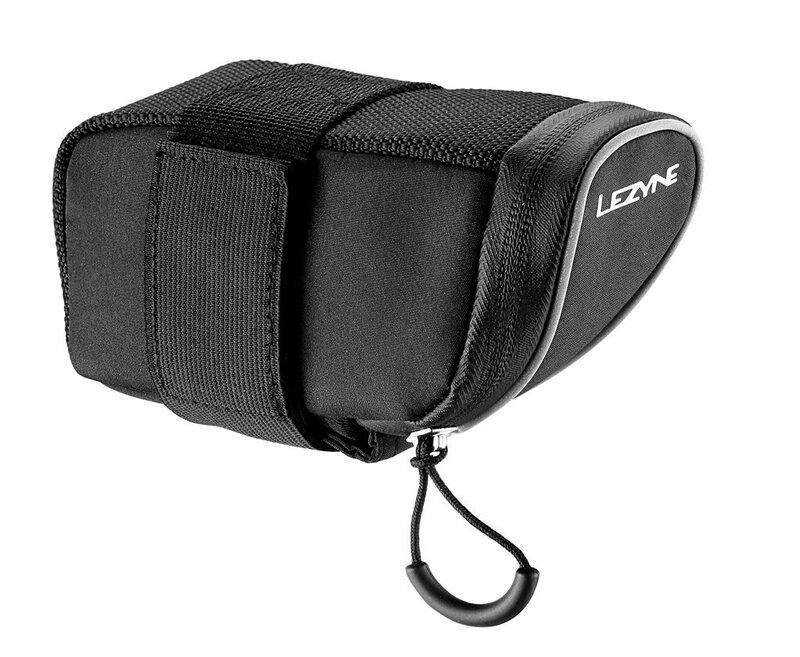 Tucked underneath your saddle, the Lezyne Micro Caddy M is perfect for taking along on long road rides or mountain biking. With enough space to hold all of your flat repair tools, and perhaps a nutritional or two, The Micro Caddy M is the perfect ride companion. The neoprene band wraps around the saddle rails, which dampens noise and vibration, creating a quieter more secure connection. Water resistant zippers fend off yucky weather, while the reflective stripes fend off cars. Bag is excellent for use with a dropper post due to no post strap. Holds everything you need, tube, co2 cartridge, tire lever & multi-tool ... it's a tight fit though. Bag also does not rub on tire when rear suspension is fully engaged. I love this bag...holds all the tools you need and a set of keys. Can be difficult to remove tools from the tool pouch because of the strap, however that is a mild inconvenience. Works well with dropper seat post. I already own one of these and it's survived 2 x 170km Paris Roubaix Sportives (gran fondos) on top of a lot of other riding including a Massachusetts winter. I stress the Paris Roubaix because I had another reputable brand saddle bag fail on my first Paris-Roubaix.. I've also seen a stack of bags with clip-on attachments fail on other participants at all 3 events. There's no rattle or vibration with this bag, it's rock solid, tucks nicely out of the way under a racing saddle to not spoil the look of the bike. It gives just enough space for essentials. My old one is now on my winter bike - a bit tatty looking but going strong. New one pride of place on my race bike. As noted by other reviews, it works well with dropper seatpost. Tight fit but got in 25.5 tube and everything needed to change it, also chain tool. Boyfriend likes his too. Kind of a pain-in-the-rear to put on but once on it's secure, no bouncing. Great bag, small, tricky zipper. I use this bag on short rides of less than 25 miles. Is this the small or medium?